Click here to enter and for more info! 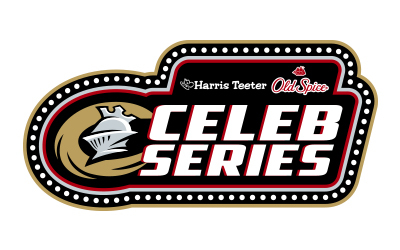 Throughout the 2018 season, fans can expect a wide array of celebrities and legendary baseball players at BB&T Ballpark as part of the 2018 Harris Teeter & Old Spice Celeb Series. Each appearance at BB&T Ballpark is presented by Harris Teeter & Old Spice. Fans can expect appearances from: David Justice (April 30), "Million Dollar Man" Ted Dibiase (June 5), Bob Pinciotti (June 21), Ellis Burks (July 18), David Wallace (July 19), Bret Saberhagen (August 1), Ham Porter (August 2) and Steve Avery (August 29). Click on a Celeb appearance below to purchase tickets to that game.